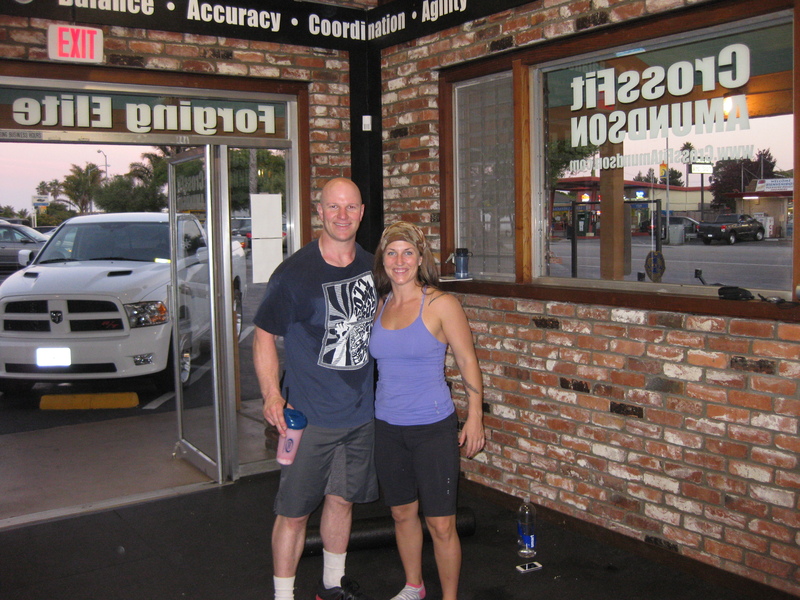 Congratulations to Brad on his all of his amazing accomplishments in the gym. On Thursday, Brad ran a 1:16 400 meter sprint and then set a personal record with a 225lb. Thruster. Brad serves our County as a Firefighter. Thank you Brad for keeping our Community safe and for setting a positive example in the gym. Tomorrow is Yoga Day at CrossFit Amundson! Aimee Nitzberg – Co-Owner of Pleasure Point Yoga (Our Neighbors!) will be teaching the 6:30, 7:30 10:00 AM and the 5:30 and 6:30 PM classes. This will be an outstanding opportunity for CrossFit Amundson Athletes to receive Yoga instruction from one of the most talented Yoga practitioners and instructors in the Country. This very special Yoga day with Aimee follows on the heels of “Kate Day” with Kate Rawlings on Friday, September 21, 2012 and the Warrior Yoga and Unbeatable Mind Seminar at CrossFit Amundson on September 22, 2012. We are excited to offer our Athletes such incredible training and learning opportunities. We highly recommend everyone try a class at Aimee’s Yoga Studio which happens to be our neighbor! The class times at Pleasure Point Yoga coincide perfectly with our CrossFit schedule, allowing you to take both a Yoga and CrossFit class in the same day. Thanks Kate! And a special thanks to Brad for keeping us safe!